Does Apex Legends have cross-play? In this guide we'll answer all the questions surrounding play between platforms. Back even before the game launched, cross-play was a feature that was said to be on the cards for Apex Legends. In this Apex Legends cross-play guide, we'll be answering the question of does Apex Legends have cross-play or not, as well as any planned updates from Respawn that are related to cross-play in the future. At the time of writing, Apex Legends does not have cross-play support. So, if you're on PS4 and you're looking to play alongside your friends on the Xbox One, you unfortunately can't do so, as there's no cross-play for Apex Legends at the current time. In an interview with Eurogamer before Apex Legends even launched, Respawn confirmed that cross-play support for their game was something that was very much in the works. 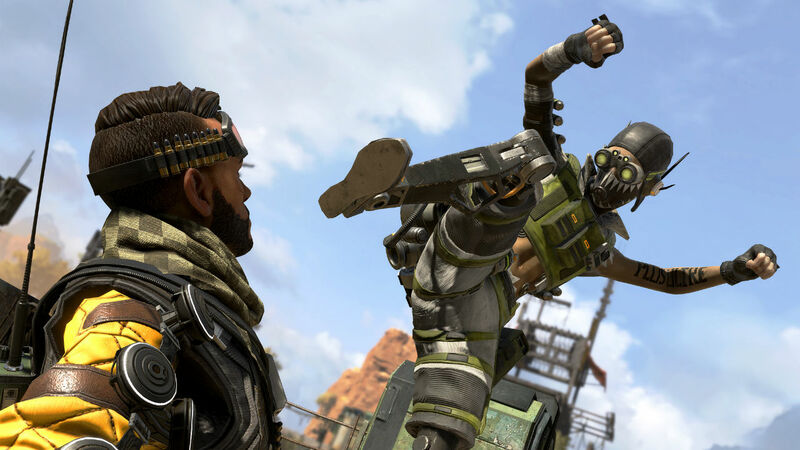 "No time frame for that unfortunately," said lead producer Drew McCoy, and since we're now months into the lifespan of Apex Legends, it's clear that there's still no potential launch window for cross-play in Respawn's game. 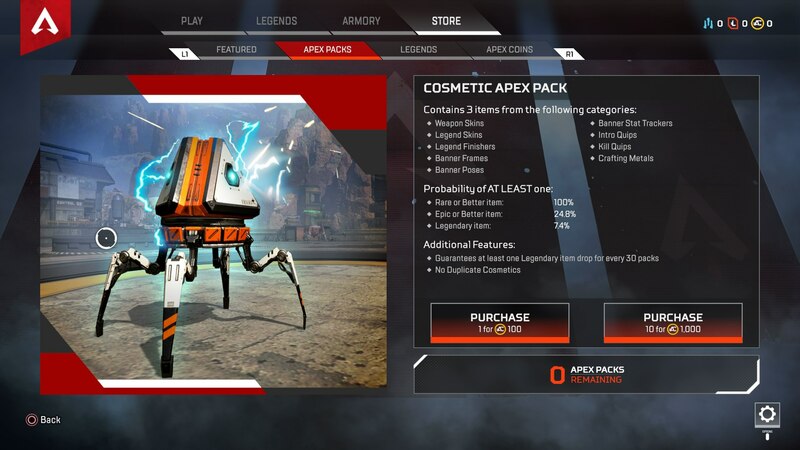 Unfortunately though, we know from Eurogamer's interview that cross-platform purchases will never be a thing for Apex Legends. "Unfortunately we won't ever be able to do cross-progress or cross-purchases," said McCoy. This is apparently due to the way "systems were set up early on" for Apex Legends, which is something that Respawn can't go back and change. This means that your account with Apex Legends on PS4, for example, will only ever log purchases on PS4. In other words, you need to pick one platform that you're going to be playing Apex Legends on for the long haul, and stick with it, especially if you plan on purchasing the new Battle Pass for the game (and for more information on that, head over to our Apex Legends Season 1 guide). It's important to remember that while cross-play might be coming to Apex Legends at some point in the future, there's no guarantee for which platforms could potentially be playing with each other. Take a look at Fortnite for example, which although features cross-play between multiple platforms, still divides its audience. This is because Fortnite splits its player base into three groups with cross-play. Firstly you have Xbox One and PS4 players playing together in their own pool, and then you have mobile and Switch players together in their own separate pool. Finally, you have PC players entirely in their own league. So although cross-play will be coming to Apex Legends, there's absolutely no guarantee of the form it could take. Now that we're all done here, you can check out our additional pages on Respawn's Battle Royale game. Head over to our Apex Legends new characters page for details on new heroes like Octane, or our Apex Legends weapons guide for more.